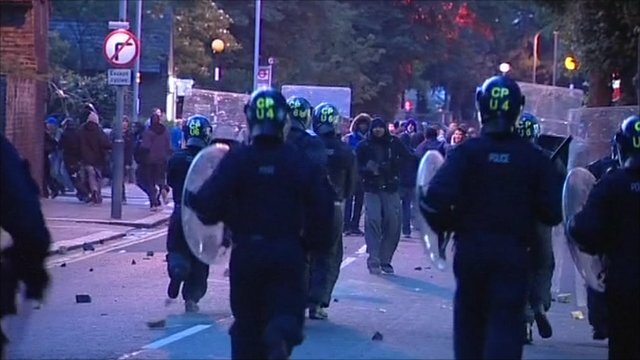 Copycat riot crime across London Jump to media player Police have condemned a wave of "copycat criminal activity" across London in a second night of looting and disorder following riots in Tottenham. Stores looted in London's Brixton Jump to media player Stores are vandalised and looted in Brixton, south London overnight, following Saturday's riot in Tottenham. 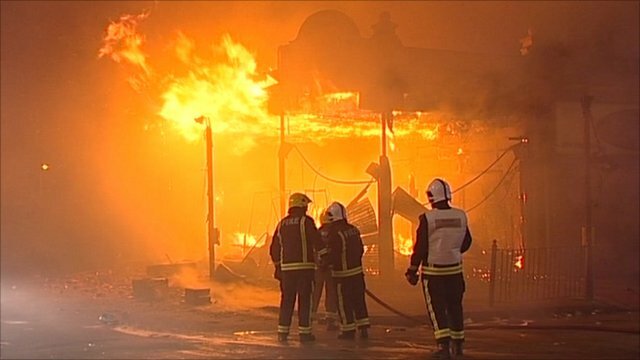 Cars and buildings torched in Tottenham Jump to media player Petrol bombs have been thrown at police and three patrol cars, a bus and buildings have been set on fire during rioting in Tottenham, north London. 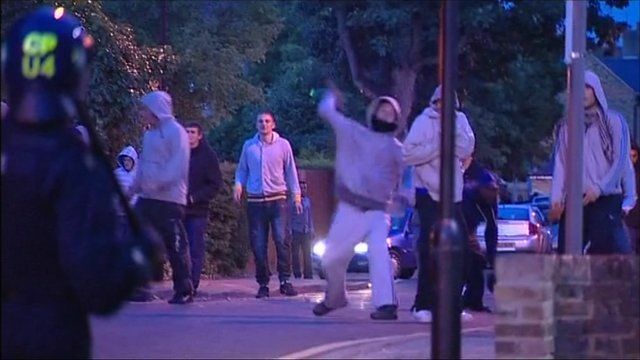 Police clash with youths in Enfield Jump to media player Clashes have broken out in Enfield, north London, where shop windows have been smashed and a police car damaged. 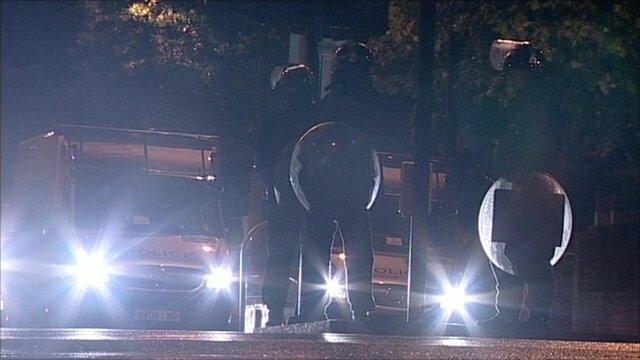 Police urge calm in Tottenham Jump to media player Police are calling for calm in Tottenham in north London, where a tense standoff is taking place. 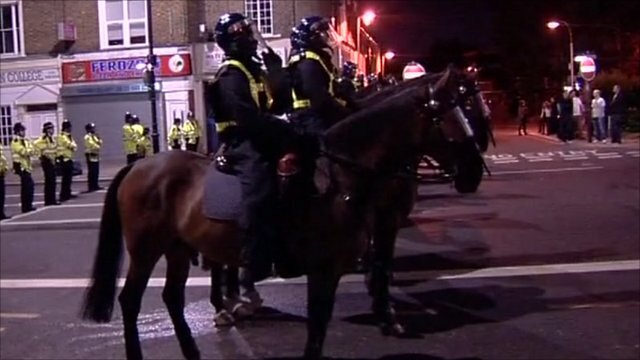 Police have condemned a wave of "copycat criminal activity" across London in a second night of looting and disorder following riots in Tottenham.